After three weeks with the new MacBook, I can easily declare it as my favorite Mac, and none of the details that left some of the tech press wailing and gnashing their teeth have actually been a problem. Only one port? A minor annoyance at worst. Performance? It works great for everything that I need to do. Keyboard? I absolutely love it and can’t imagine switching back. In hindsight, the only regret I have is spending all that money on an iPad Air 2. Since there is no way to avoid comparing the new MacBook to other Macs, let me give you a short history of my Mac hardware lineage. In 2004, I bought a PowerBook G4, which turned out to be one of the last PowerPC laptops that Apple made. I bought one of the first white plastic MacBooks once the switch to Intel happened, but ended up selling it relatively soon to a friend whose son was leaving for college and really wanted a Mac. I replaced it with a black MacBook. Around 2007 or 2008 I bought a 24" iMac. In 2011, I bought a MacBook Air. A couple of years ago, my friend Tom Bridge gave me a 2008 MacBook Pro which had belonged to his wife Tiffany Bridge. Last but not least, I bought myself a quad core i7 Mac mini as a graduation present and upgraded it to 16 GB of RAM. I also have a Macminicolo machine where I run my various websites, etc. The PowerBook stopped working because the power port was damaged and it could no longer be recharged. The “BlackBook” can’t run anything newer than Lion and needs a new battery. I put an SSD in the iMac so it still runs really well, but I really need a portable Mac. The MacBook Air developed a problem where the “R” key seems to be dead, so it can only be used with an external keyboard, plus, it’s limited to 4 GB of RAM, which doesn’t seem like enough these days. I didn’t think I’d ever love another Mac laptop as much as I loved my 15" MacBook Pro: I had been able to upgrade the RAM; it had a nice big screen; I had removed the SuperDrive and replaced it with a second hard drive which allows me to create a 768 GB Fusion Drive; heck, I had even replaced the battery. I knew that no future MacBook Pro would ever be as repairable and extensible as it was. Unfortunately, it recently developed a problem which appears to be related to the logic board, and it no longer made any sense to keep putting time and money into it. Last year, I replaced my iPad 3 with an iPad Air 2. I splurged and went for the 128 GB cellular model. It’s a very capable portable computer, and it can do a lot, but it can’t do nearly all of the things that a Mac can do. Even with the new multitasking features coming in iOS 9 (which look fantastic), there’s no way an iPad can replace my Mac. Obviously that isn’t true for everyone (Hi Federico!) but it’s definitely the case for me. Even after spending about a week without a Mac laptop, and knowing enough to try to re-create some of my OS X workflows in iOS, I found it to be frustrating, and not something I wanted to keep trying to do. When I realized that I definitely needed a new Mac, I spent some time configuring both the 13" and 15" MacBook Pro models on Apple’s online store. However, since I had never seen a Retina display Mac before (a very intentional decision to avoid wanting to have one before I was ready to buy one), I knew I had to go see them in person. Would I be willing to downsize to a 13" Mac from a 15" if the 13" was Retina? The only way to tell would be to test one. I went to an Apple Store and spent a long time using both MacBook Pro models, comparing the specs of the various test models, and looking them up to see what other “Build To Order” options were available. The problem was that I wanted the size of the 13" but I wanted the 15" for its better processor. I really wanted an SSD, and since it was never going to be upgradeable, I figured I should go for the 1 TB SSD. By the time I was finished, I had a $2700 MacBook Pro configured. Plus tax and AppleCare. So…$3,000. That made me stop and ask “OK, but do I really need a $3,000 MacBook Pro?” Not really. It was very easy to get into the mindset of creeping up the “Build To Order” charts, but when I stopped to think about it without focusing on the specs, I realized that I definitely preferred the size of the 13" to the 15". I spend a good deal of time with my MacBook on a lap-desk while I’m watching TV with the family, so lighter is better. Do I really need a 1 TB drive? Honestly, no. Sure, I had a 768 GB drive in my MacBook Pro, but there was a lot of extra space on it. I keep movies, etc. on my Mac mini and music will be delivered either by Spotify or Apple Music, so I knew I could get away with a 512 GB SSD. Do I need a quad core i7 processor in my laptop? This was my biggest hurdle. I have always thought that the best way to buy a laptop is to buy the best one you can afford and keep it as long as you can. But buying a laptop has changed a lot over the past 10 years, and I had to think differently about what I really needed. When it came right down to it, I realized that (by modern standards) I don’t do much that is processor-intensive, and if I find something that I really do need to do, I can always do it on my Mac mini. All of those thoughts were part of the decision to go home and configure a middle-of-the-road 13" MacBook Pro instead of a top-of-the-line 15" MacBook Pro. I went to look at the MacBook mostly because I wanted to see how the keyboard felt, and maybe leave a note to Marco that I could take a picture of and post to Twitter. But a funny thing happened: almost immediately I found myself really liking the keyboard. A lot. I loved that I just had to tap them lightly in order to have the keypress recognized. It felt great, and the larger keys seemed a lot easier for me to use. Then I picked up the MacBook and said aloud, “Oh, come on.” An Apple Store employee was standing nearby to greet people as they entered the store. When he heard me, he turned to look, saw what I had done, and laughed. “Kinda wild, right?” he said. Compared to my 2008 MacBook Pro, even the 2015 MacBook Pro is amazingly light. I still remember unpacking my 2011 MacBook Air and being amazed at its lightness. But nothing could compare to the new MacBook. But I am not easily swayed, and reminded myself that the MacBook was not nearly as powerful as what I needed. So I set out to find its flaws, but everything I tried seemed to work fine. Finally, I asked myself, “What would I want to do on this that I don’t think I could do (given its processor)?” Nothing came to mind. The vast majority of thing I do on a computer simply do not require a heavy-duty processor. I left the Apple Store because I had to meet someone, and decided that I probably needed a break from my Apple Store showroom experience with the MacBook. I assumed that once I left the store and found some reviews online, I would no longer be captivated by the new MacBook. When I returned home, I started reading actual hands-on reviews of the MacBook to see how it would handle various tasks. I was disappointed to find that most of the reviews weren’t really reviews, but seemed more like “thought pieces” about whether the changes in the new MacBook will come to other MacBooks, or articles from people who tried the MacBook briefly but didn’t like it almost as quickly as I had liked it. We’ll need to have the system in hand to examine how the laptop throttles its CPU and GPU to save power, which will be important for things like gaming, video editing, and heavy Photoshop work. I don’t do any of those things, so I didn’t need to worry about them. For general-use tasks that don’t peg the processor, the oversimplified version is that Core M performs a lot like the Ivy Bridge Core i5 and i7 CPUs in the 2012 MacBook Airs. If you’ve got a 2013 or 2015 MacBook Air, it will be a step down. If you have a 2012 MacBook Air, it’s a step sideways at best. I have a 2011 MacBook Air, but I have been using a 2008 MacBook Pro. 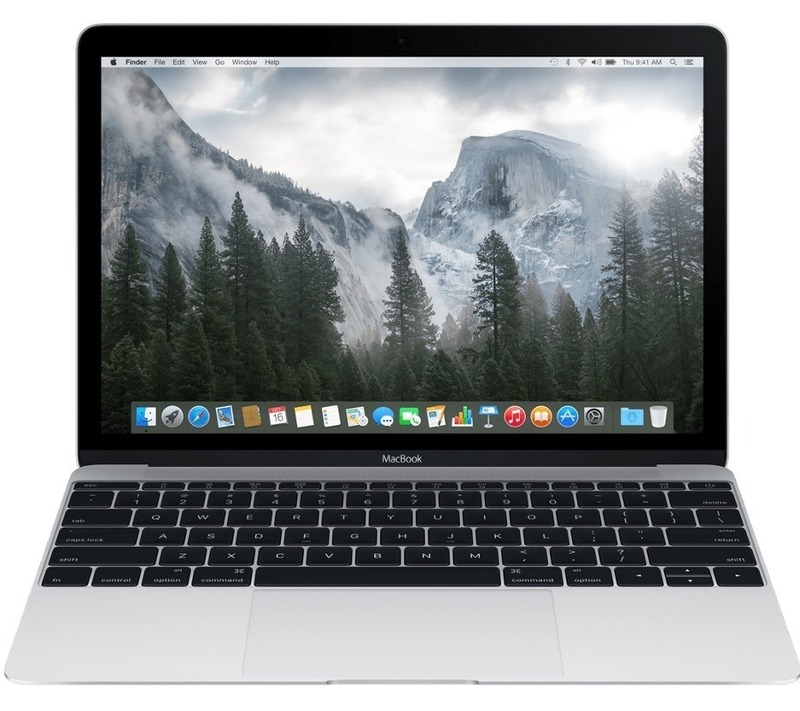 The new MacBook obviously would not be as much of a leap forward as I could have gotten with a MacBook Pro, but would it be sufficient for my needs? Performance is a step or two behind recent Broadwell-U Macs. But compared to what I have been using, it will be a step forward, and for what I actually do the vast majority of the time, it will be an improvement. Plus I have the Mac mini as a safety net if I suddenly need to start rendering video. In 1440×900 mode, the integrated GPU sometimes struggles to keep up with the high-res screen. Upgrades are impossible. Everything from the RAM to the SSD is soldered to the tiny motherboard. All of the MacBooks are now pretty much sealed boxes with very little possibility of being upgraded later, so this isn’t really a significant downside. I use my Mac’s webcam approximately never. Life with one port is a compromise, whether you decide to go all-in on new dongles and cables or not. This struck me as potentially the most annoying part of the new MacBook, and something I needed to think about further. If you asked me how often I need to use USB, I would have answered “All the time.” That was one of the reasons why I “knew” the MacBook wasn’t for me. If two USB ports never felt like enough, so how could I live with one USB-C port? Copy a file from a CD (once a week). Backups are important. My friends know that I can be a little bit obsessive about backups. I think a bootable backup is an important part of a backup strategy, but it is just a part. A bootable backup of my Mac is an important third-leg of my backup system, but since everything is getting backed up in at least two different places in addition to my bootable backup, I can get by with updating it once a week without worrying that I am going to lose anything. Copying a file from a CD is something that I can do fairly easily on several other Macs, such as my iMac or Mac mini (which has an external attached to it). In fact, using Hazel and BitTorrent Sync, I can automate the entire process, so that all I need to do is put the CD into the Mac mini’s drive and the file I need will end up on MacBook. Or I could hook up my Apple USB SuperDrive if I really need to. When else do I use my USB ports? Not often. I have a USB thumb drive on my keychain, but I stopped carrying it because I realized that I never actually found myself needing it. Occasionally, I plug in my iPhone or iPad to use PhoneView or just to charge it, but not nearly enough to consider this a deal-breaker. Apple sells a USB-C to USB Adapter for $20 and an $80 USB-C Digital AV Multiport Adapter which does USB-C (for power), HDMI, and “regular” USB. Also, since USB-C is not an Apple-specific connector, other companies are likely to come out with connectors and adapters in the future. After thinking through all of these things, I realized I could seriously consider the new MacBook. I decided to return to the Apple Store for a more thorough test, especially of the keyboard. It seemed impossible that I would like it as much in the long-term as I did initially. The only way to find out was to sit down and use it for an extended period, and I was determined to do that before buying it rather than getting it home and discovering it afterwards. I don’t have a terribly great fear of looking odd in public, especially compared to how much I dislike returning things after buying them, so it didn’t take long to settle in to my perch and start my more thorough test. I spent almost an hour typing on the new keyboard, and using the computer in “regular” usage to see how I would like it. If you’ve read anything about the new MacBook, you’ve heard about the new keyboard, how the keys are larger but the configuration is the same, and about how the “travel” of the keyboard is very shallow. I have read various comments about the keyboard from people who (at best) “didn’t love it but could accept it” or (at worst) just hated it and couldn’t use it. I’m 42 and my eyes aren’t perfect, but I can very happily use the MacBook at 1440x900 in Retina, which means that I have the same “space” that I had on my 15" MacBook Pro, except smaller and sharper and more awesome. I know I’ve already gushed over this, but I just wanted to add that I brought my iPad Air 2 with its keyboard cover with me to the Apple Store, and even that looks bulky compared to the MacBook. It’s hard to describe if you haven’t experienced it in person, but it really feels like if the MacBook was to get much thinner and lighter, it might actually be difficult to keep it from sliding around while you type on it. I have nothing to say about the fans…because there aren’t any! (insert rimshot here). On the other hand, I have a lot to say about the lack of fans. Again, let me compare this to my previous 2008 MacBook Pro, and to the app smcFanControl which I often used to crank the fans up to full power in order to cool it down. It was heavy and it was hot and it was noisy. After putting the MacBook through a solid hour of testing, I felt the table underneath it and it was warm to the touch, but not hot. The bottom of the MacBook itself was warm enough to notice but otherwise not really noteworthy. In my first day of regular use with the MacBook I was using it pretty much non-stop from 9 AM to 2 PM. I spent all of that time on battery only, and still had 33% of the battery left. I leave my charger at work during the week and keep my MacBook plugged in during the day. When I get home, I use it on battery and have plenty left by bedtime. FruitJuice tells me that I am very easily reaching the desired amount of battery usage per day, which I hope means that the battery will live a nice, long life. I did buy Apple’s $80 USB-C Digital AV Multiport Adapter, more as a “safety net” in case I need it than anything else. I wish it had another “regular” USB ports in lieu of the HDMI port, but oh well. As I suspected, the Apple USB SuperDrive (which I already owned) works fine with it. I plan to buy the AppleCare Protection Plan for Mac Laptops 13 Inches and Below for $189 at Amazon, instead of $250 from Apple. AppleCare has saved my bacon in the past, and especially considering that this is a first generation product, it seems like a good idea. I bought the Anker USB-C to 4-Port USB 3.0 Hub but I plan to return it. The MacBook does not seem to provide enough power over the USB-C port to recommend plugging in 4 USB devices at once. I tested this by plugging in a bus-powered USB hard drive and my Blu-Ray drive (which can use 2 USB plugs to ensure it gets enough power). The end result was…not pretty. The Blu-Ray drive failed to read a DVD, and the USB hard drive was corrupted so badly that I had to completely reformat it. Yikes. That’s not a test I’ll be trying again any time soon. Anker also makes a USB-C to 3-Port USB 3.0 Hub with Ethernet Adapter which I might consider, although the times that I need to plug in to Ethernet are few and far between. I also bought a Anker Ultra-High Capacity 20800mAh 3-Port 4A Compact Portable Charger hoping that might be enough to power the MacBook “on the road” but it does not seem to, at least when actively using it. I’m sure it would re-charge it overnight, but that isn’t what I really wanted it for. Last but not least, I bought a Photive 50 Watt 6 Port USB Desktop Rapid Charger and USB 2.0 Type C to Type A. Now I can plug in my iPhone, iPad, Kindle, Bluetooth headphones, iPhone battery pack, and the MacBook next to my bed at night, and in the morning the MacBook will be back to full-charge. It seems worth noting that if you want an extra MacBook charger, Apple’s 29W USB-C Power Adapter is $50 and does not come with a USB-C cable, which seems absurd considering that almost no one will have one. Even more absurd is that Apple’s USB-C Charge Cable (2m) is $30. I don’t know who decided that every accessory in an Apple Store has to be at least $30, but it’s beyond ridiculous at this point. Monoprice has a 6ft USB-C to USB-C for $13. That said, even if you buy a $50 Apple charger and a $30 Apple cord, that’s still the same price as the Apple 60W MagSafe Power Adapter, so you’re no worse off than you would be with a different MacBook. On the other hand, the option to use a non-Apple power cord/charger is something Mac users haven’t really had since the dawn of the MagSafe era, almost 10 years ago. Speaking of MagSafe, that’s another change that I wasn’t sure about. Between 4 dogs and 3 people in the house, tripping over a cord has happened in the past. However, with this MacBook, I have avoided that (so far) by only leaving the MacBook plugged in on my desk at work, or in its overnight recharging spot at home. Instead of spending $80 on an Apple charger, I’ve been recharging it overnight using a $9 USB-C to USB-A cable plugged in to a USB charger I already had. So far that has worked for me. After three weeks of use, I can say with absolute certainty that I regret absolutely nothing about this MacBook. I don’t even mind the fact that I didn’t get the Space Gray model, since I have a lot of other silver-colored accessories, like the SuperDrive, and my external USB drive. I have FileVault 2 running and haven’t noticed any slow-downs. I have over 300 GB free on my internal drive, so there’s plenty of space. I have used Apple’s new Photos app and performance is good, at least so far with my “test” library. The most CPU-intensive stuff I have done is some very light audio editing using Fission and Audacity (basically trimming, applying a few effects, and exporting) and performance has been fine. I can watch 1080p video in VLC without any issues. And all the while the MacBook runs smooth, cool, and quiet. The screen still amazes me every day. I still love the keyboard every bit as much as I did the first time I tried it. The size and weight (or lack thereof) are both very impressive. Grabbing my laptop to go with me is no more of a problem than grabbing my iPad would be, and I get all of the advantages of having OS X with me wherever I go. If you are in the market for a new portable computer, make sure you test the new MacBook. You might be surprised.